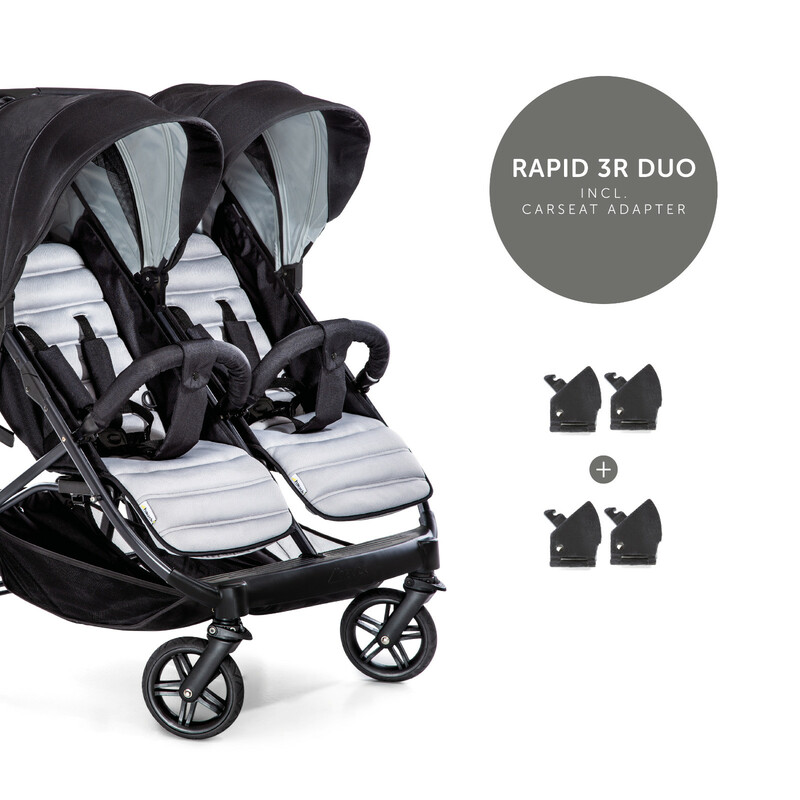 If you’re looking for a quality twin / double stroller that is suitable from birth and wont cause you a headache getting through doorways, then look no further… The Rapid 3R Duo from Hauck is exactly what you need! 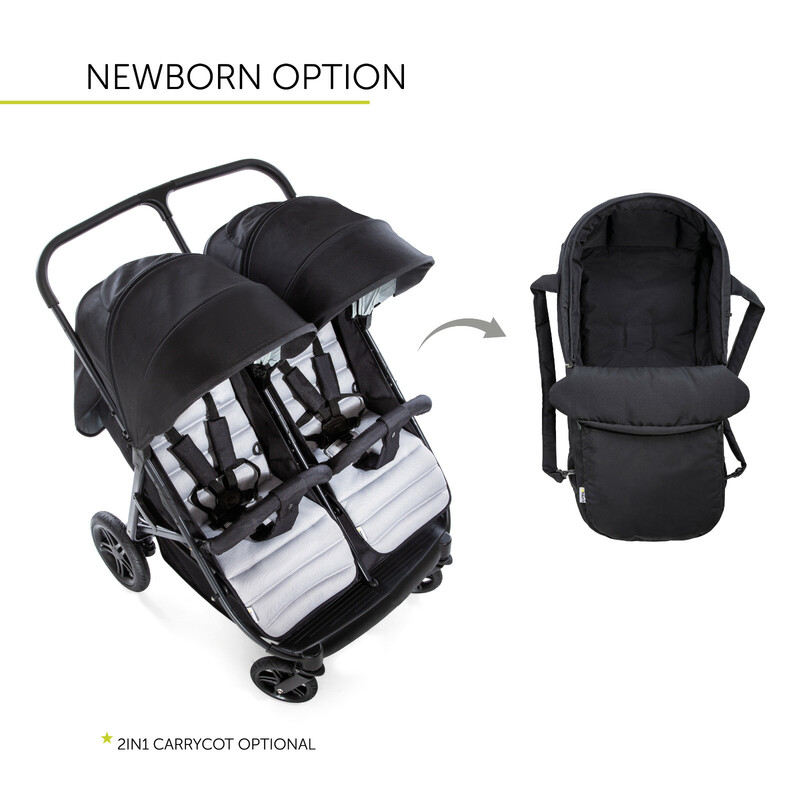 With all-terrain wheels, a compact fold and adorned in elegant fabrics, the Rapid 3R Duo can be used in combination with two infant car seats thanks to the adapters which come included within the package (car seats sold separately). 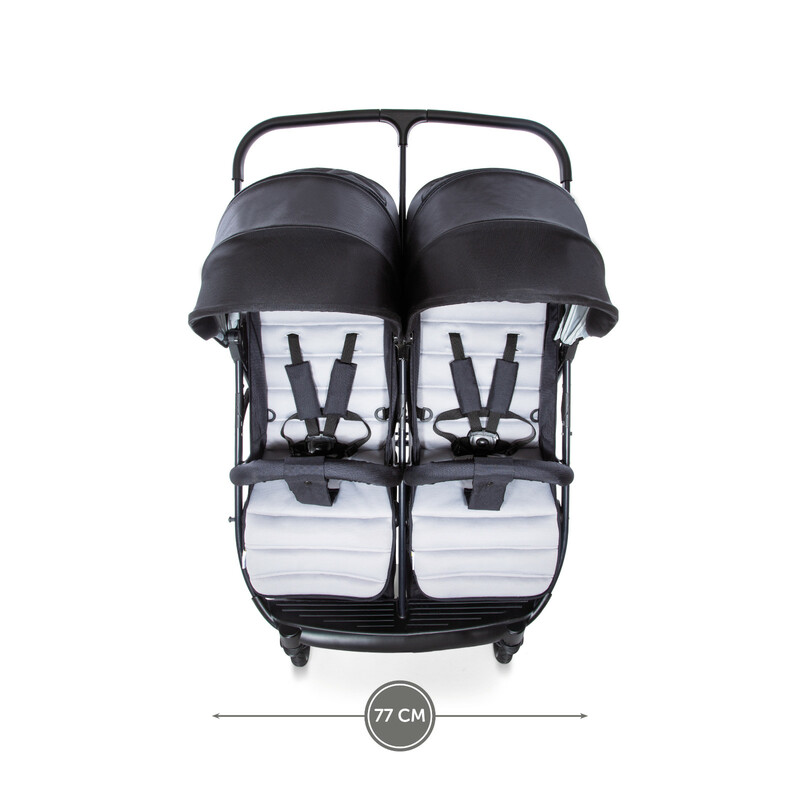 At a mere 77cm in width, the stroller will fit through standard doorways, elevators and narrow shopping aisles. 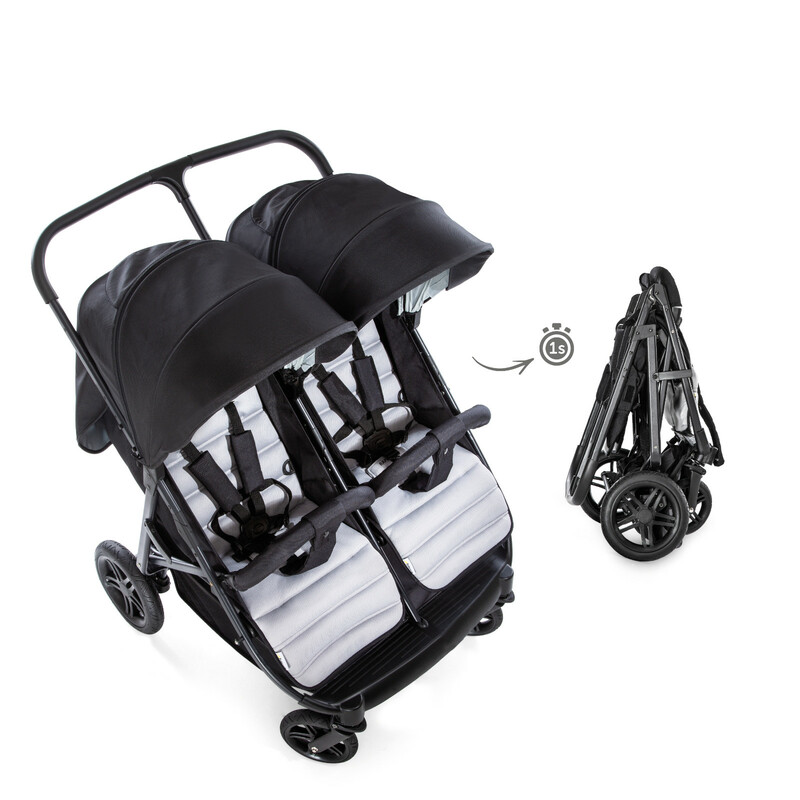 The front lockable swivel wheels and suspension means that the pushchair is agile and easy to push, even with two youngsters onboard. A parking brake is included to offer optimum hold during your stops. 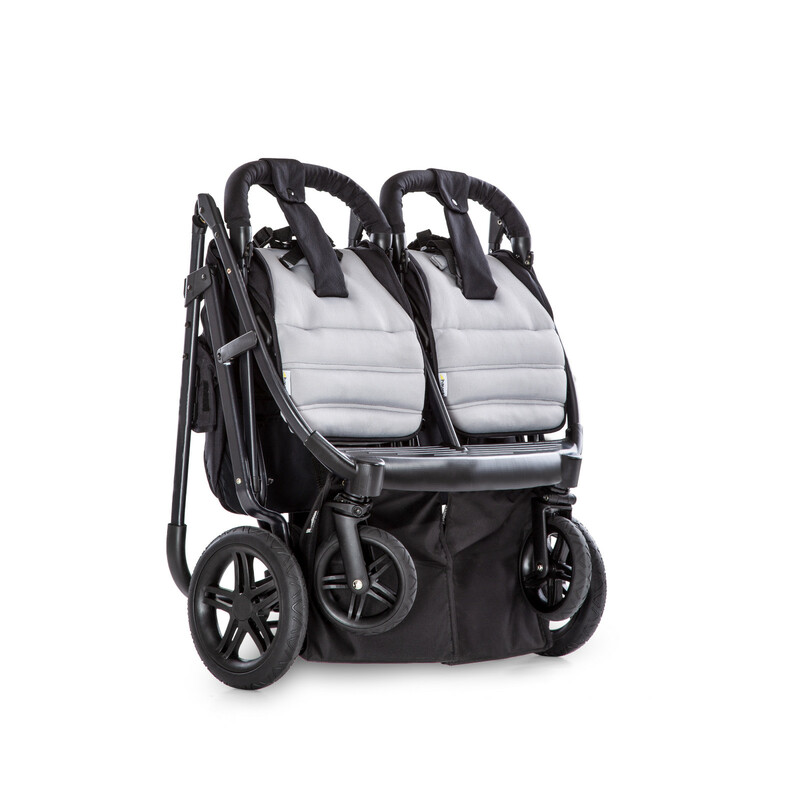 In regards to the seating, both seat units offer individually adjustable reclining backrests, and the footrests are individually adjustable too. 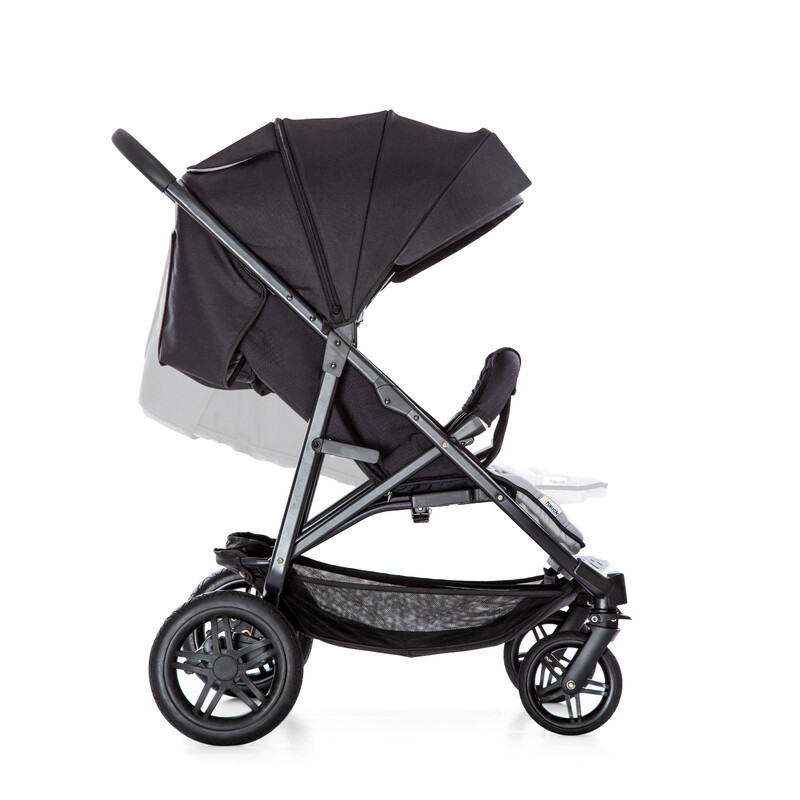 They are sumptuously padded and feature large extendable canopies, front bumper bars and 5-point safety harnesses. 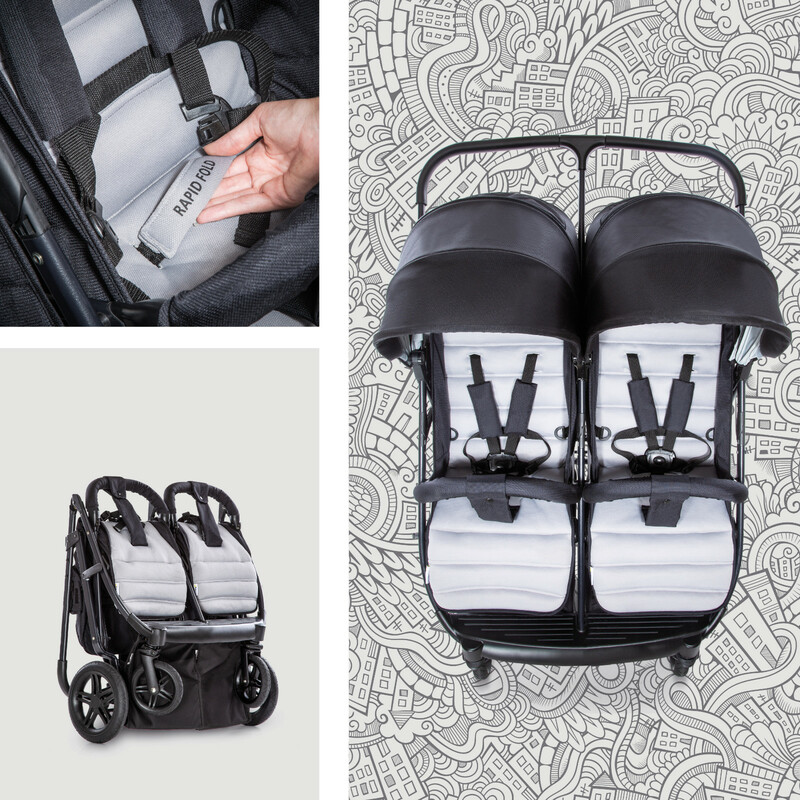 Also benefiting from a one-hand fold mechanism, the Rapid 3R Duo folds down to a compact size for parental convenience. 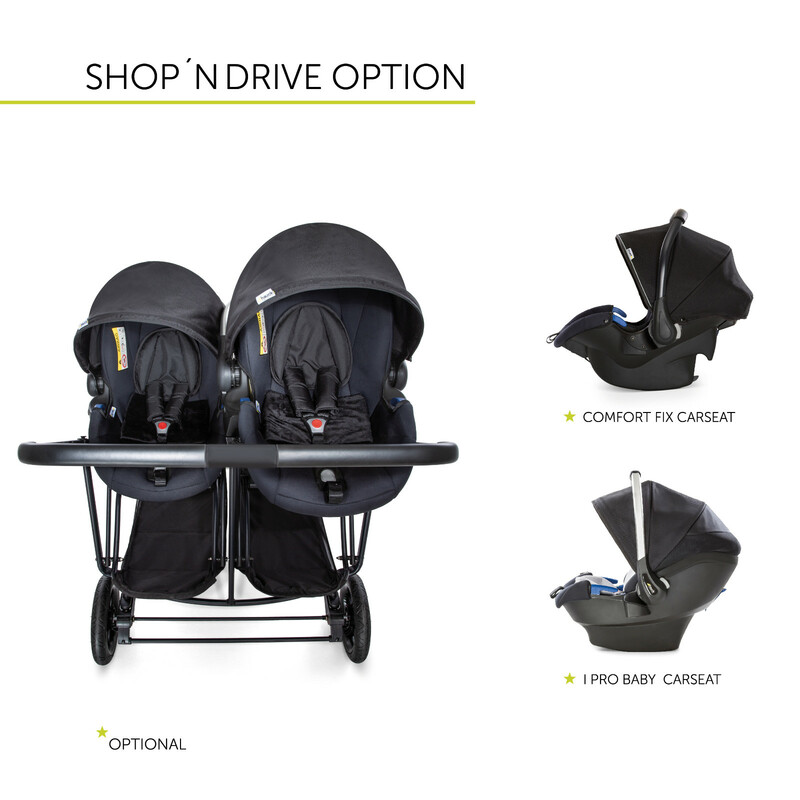 To go with Rapid 3R Duo we recommend the Comfort Fix baby car seat and its Comfort Fix Isofix Base, as well as the iPro Baby infant car seat and its iPro Base (all sold separately).